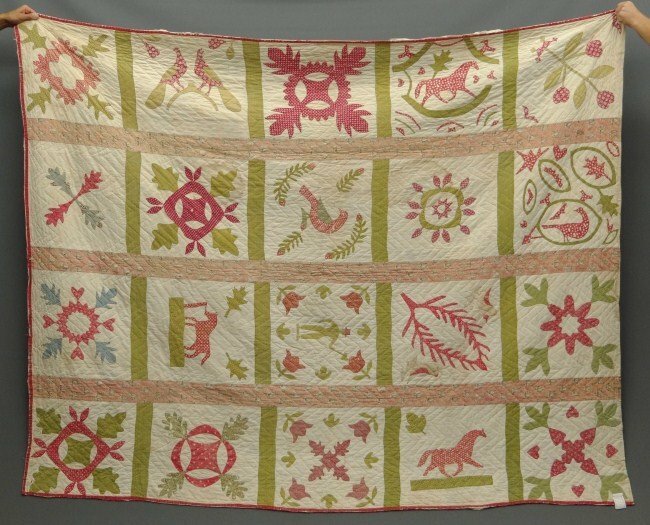 Love this folky Christmasy quilt with a lot of unusual horse appliques. It is not common to find horse appliques on antique quilts. 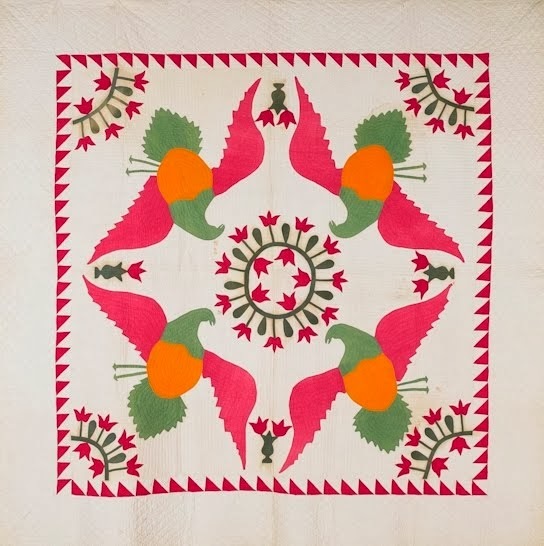 Birds and flowers and wreaths are usual but not horses. 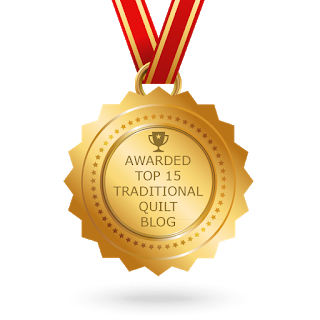 Thanks Sharon W.! It is from New York state. 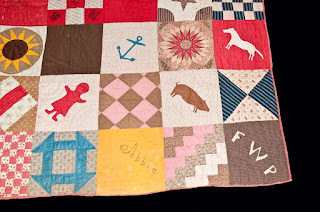 It is actually a signature/name inscribed quilt but most are too faded to read. 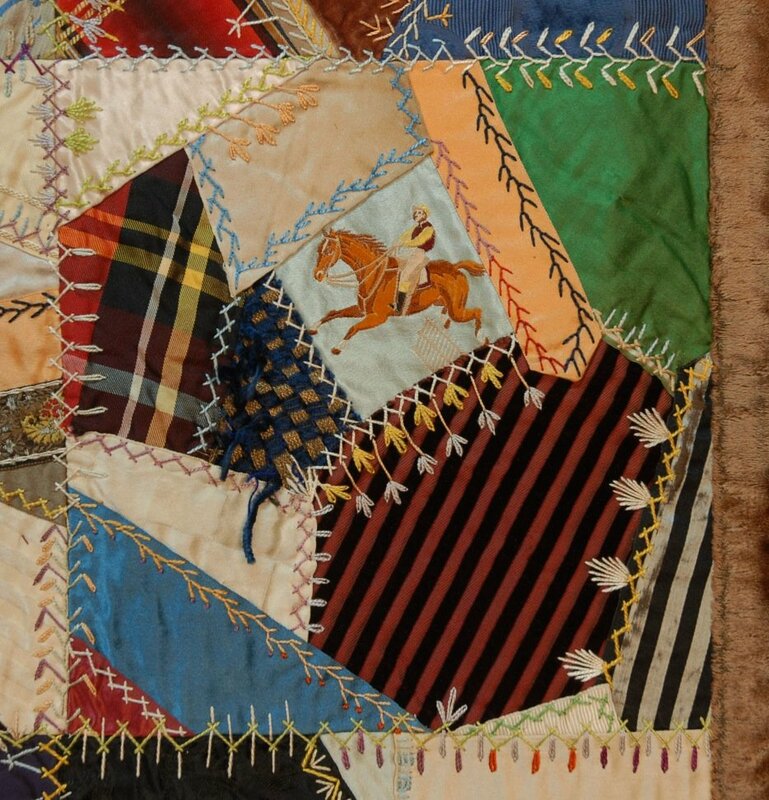 Here's a horse and rider from a crazy quilt dated 1885. Most of the horses seen on antique quilts are found on novelty/conversation prints. Equine motifs were very popular in the 1880s and 1890s. 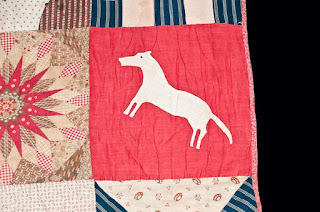 I do have another appliqued horse on a quilt with a few funky appliques and cheater cloth prints too. Dated 1887. 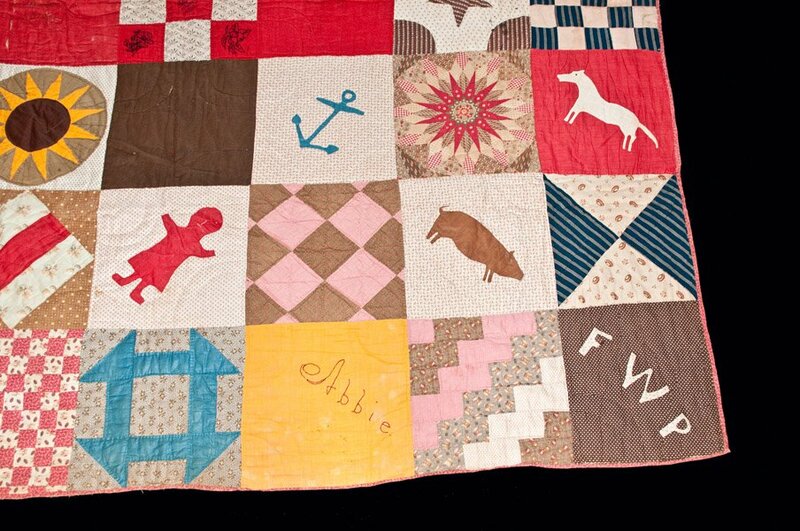 You just never know what you'll find on a quilt ... joining the horse above is an appliqued pig along with a strange doll/person, an anchor, etc. 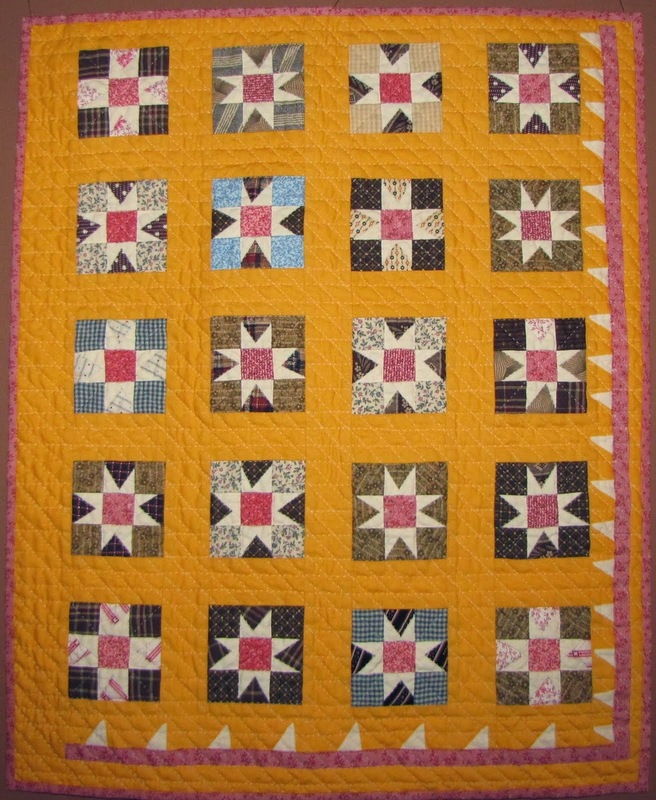 The red mariner's compass next to the horse is a cheater print, the sunflowery one is pieced.